Lily wang was designed by Ryoichi Tsunekawa . 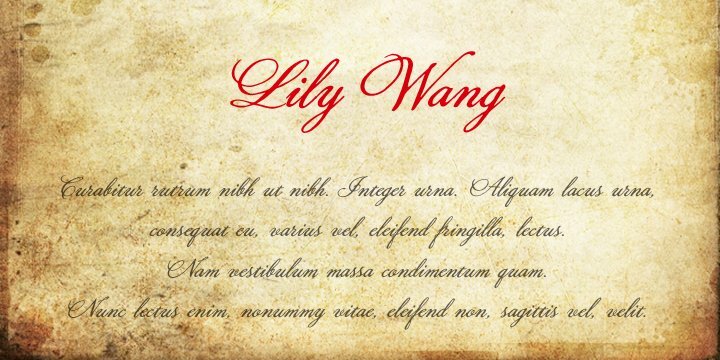 Lily wang font is a handwriting font design in 19 century . This font can be use also for design web pages by adding it into css file.